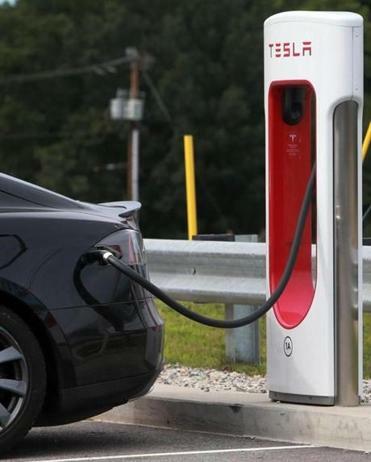 An electric car charger at a rest area on Interstate 93 in Hooksett, N.H.
To some readers, the Boston Green Ribbon Commission’s vision for a carbon-neutral Boston by 2050 may sound like a fairy tale (“For Boston, a blueprint for green goal,” Metro, Jan. 29). But a lot can change in 30 years. What if, 30 years ago, someone said: Imagine no coal-fired power plants in Massachusetts; imagine titanic wind turbines off our coast; imagine plastic bags being outlawed; imagine electric cars going more than 300 miles on a charge; imagine towns and cities across the Commonwealth enabling homeowners to aggregate the purchase of clean electricity; imagine buses having dedicated lanes and traffic signal prioritization; imagine having a smartphone with an app that lets you hop on a shared electric scooter to go to work. The commission’s plan is ambitious but entirely achievable. The naysayers need to use a little imagination, and the rest of us have to muster the political will to get it done.